New York, NY – October 18, 2012 - Tor Books, an imprint of Tom Doherty Associates, LLC-the largest publisher of science fiction in the world-is thrilled to announce the final release date for the third novel in the New York Times bestselling Halo Forerunner Saga, HALO: SILENTIUM, written by legendary science fiction author Greg Bear. The first two books of the Forerunner Saga, Halo: Cryptum and Halo: Primordium are currently available in trade paperback, e-book, and audiobook. 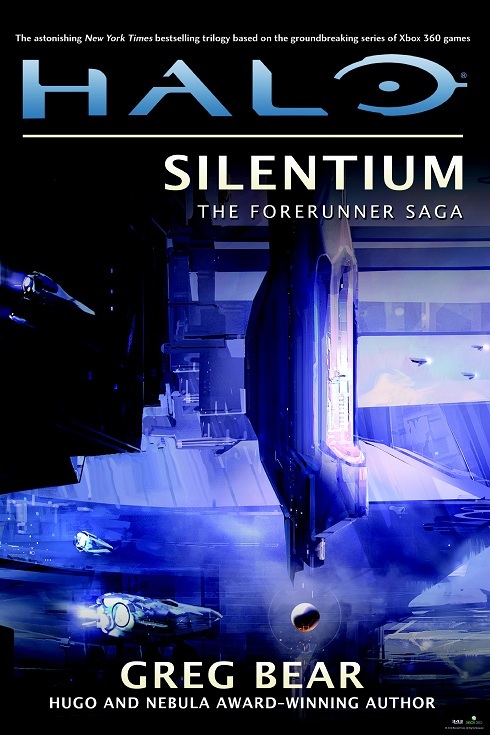 This newest book in the series, HALO: SILENTIUM will release in hardcover from Tor on March 19, 2013 alongside simultaneous audio and e-book editions. Order Silentium from Amazon now.